The DSSSB Teacher previous papers are enclosed here. The applicable candidates can download the DSSSB Teacher Question Papers for preparation purpose. 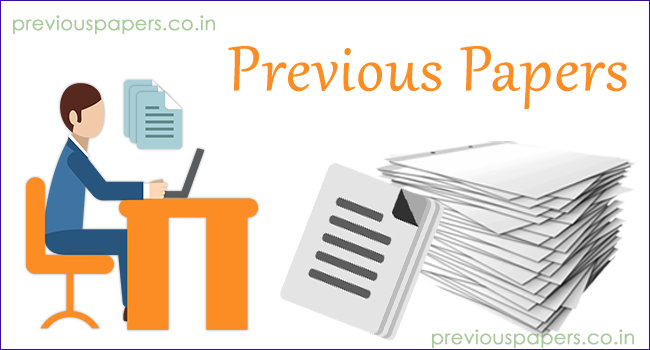 Along with the DSSSB previous year question papers, you can also check other details like syllabus and exam pattern in this post. So, go through the complete article and get the required information. Are you searching for the DSSSB Assistant Teacher question papers? Then you are in the right place. Here, you can download the DSSSB question papers for DSSSB TGT exam. First, the candidates who have a desire of teacher job can register for the DSSSB Teacher exam. Then the applicants should start their preparation. Before starting your preparation, the candidates should download the Delhi SSSB TGT Old Question Papers to know the DSSSB Teacher exam standard. Once you have downloaded the DSSSB Teacher model papers, then you will get complete knowledge of the exam standard. These DSSSB teacher papers can be used for reference purpose. In this article, you can get DSSSB Teacher Previous year papers along with the answers in pdf format. The Delhi Subordinate Services Selection Board has released the notification for various teacher posts. The total vacancies to be filled are 9232. As there are a huge number of vacancies, tough competition takes place among the applied aspirants. Therefore, the aspirants need to prepare for the DSSSB exam seriously. Scroll down to get exam pattern details and syllabus. The selection procedure for the DSSSB consists of three rounds. The Tier-I and Tier-II exam consist of Objective type questions. To get awareness of the DSSSB Teacher exam and to start your preparation, the selection process is necessary for every applicant attending the exam. Follow the selection criteria provided here to get prepared for the exam. The DSSSB Teacher Selection criteria is conducted in three stages. The Delhi SSSB Teacher syllabus is given below. The aspirants who are preparing for the Delhi SSB PGT exam can check the subject wise syllabus and can begin their preparation immediately. Those applicants can also check the DSSSB Teacher Exam question papers in the following section. The DSSSB previous question papers will help the contenders in better preparation for the DSSSB exam. Start your preparation and make a schedule on the exam preparation. The applicants are suggested to follow the DSSSB Teacher model question papers. There may be a chance of reoccurrence of the questions from the DSSSB Teacher previous papers so that candidates can solve the questions quickly in the exam. By solving more number of DSSSB Teacher previous papers, candidates will get the information regarding all the subjects included in the exam. The Delhi SSSB Test papers are provided for the candidates to crack the written test. By solving the Delhi SSSB PGT exam papers, candidates can estimate their capability before the exam. If you practice more DSSSB Teacher Practice papers, you can know your mistakes. For the next time, you may not repeat them. These DSSSB PGT sample papers also help you improve the time management in the exam. Visit the official website www.delhi.gov.in for more information on DSSSB Teacher exam. We hope that these DSSSB model papers will be helpful for the aspirants in their preparation. Once we get more sample papers, we will update on our site. Visit our website www.previouspapers.co.in regularly to get information on latest state and central government jobs.